VISIONS FOR A NEW HUMANITY. 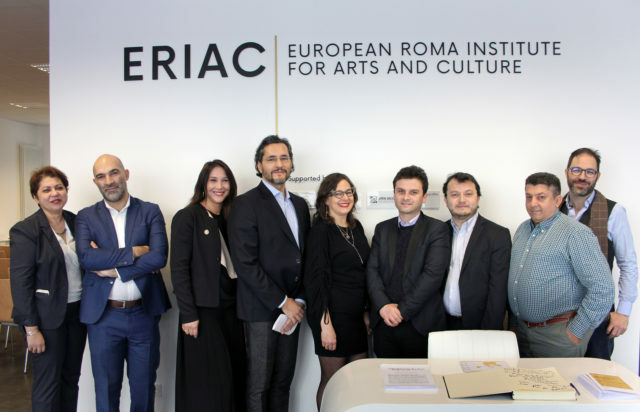 After six successful events in Seville, Cracow, Budapest, Prague, Rome, and Bucharest, the European Roma Institute for Arts and Culture’s (ERIAC) final International Cultural Outreach Program took place in Berlin. 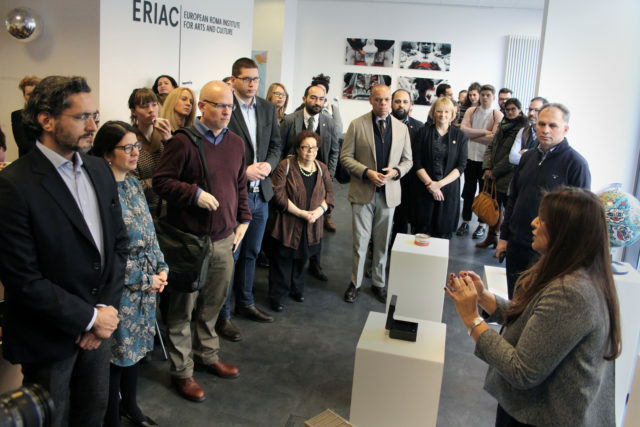 While Europe is experiencing an identity crisis, ERIAC proposed a discussion on visions for a New Humanity, led by visionary women intellectuals and inspired by Roma pride and excellence. 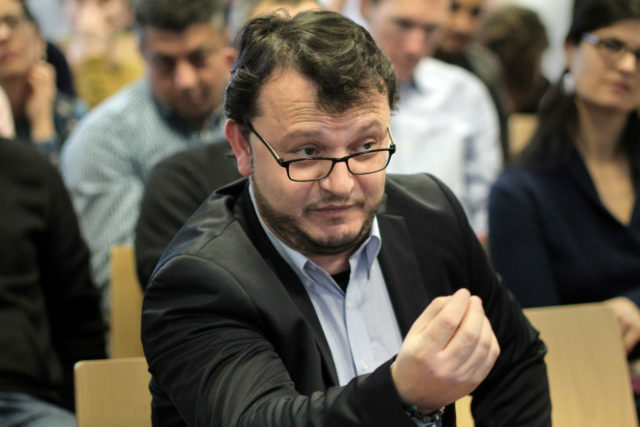 Through mobilizing the knowledge of Roma people, Roma feminists proposed to rethink the relationship between nationalism and diversity, searching for answers of what it means to be European today, in a continent divided by political challenges. This debate also fed into the contemporary discussion of the necessity and inevitability of eradicating patriarchal hierarchies; a process led by women all over the globe. 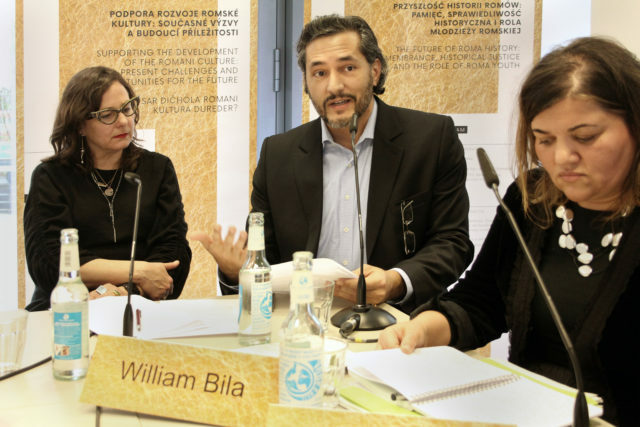 The shift in cultural and political discourse – from Roma as problem to Roma as potential – is present and ongoing. 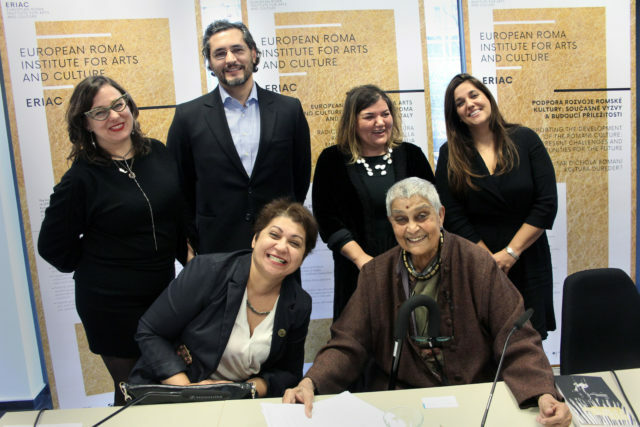 The Roma arts and cultural scene is a vibrant and inspiring space of self-emancipation and critical discussions in which Roma women are at the forefront. 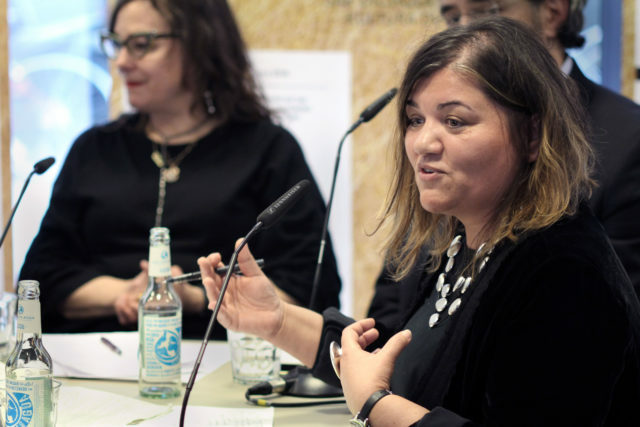 Through mobilizing the knowledge of Roma people, Roma feminists propose to rethink the relationship between nationalism and diversity, searching for answers of what it means to be European today, in a continent divided by political challenges. 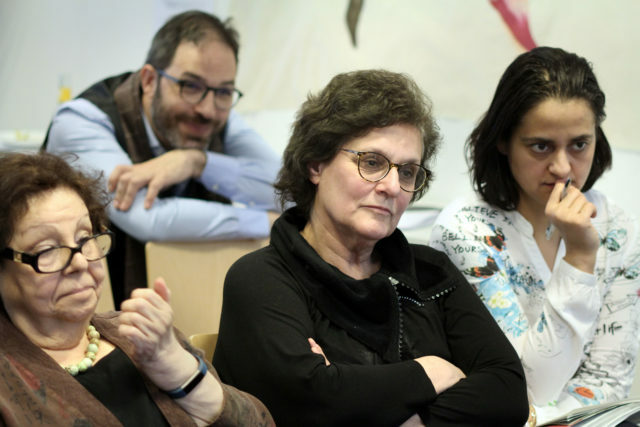 In a panel discussion organized in ERIAC’s Office and Art Space, outstanding Roma feminists, activists and scholars – Dr. Ethel Brooks of Rutgers University, Dr. Nicoleta Bitu, the Chair of the RomArchive Board, Dr. William Bila the President Las Voix des Rroms, Dr. Angela Kocze of the Central European University, Timea Junghaus the Director of ERIAC – discussed the transformative potential of transnational alliances and the power of the periphery to renew social cohesion. 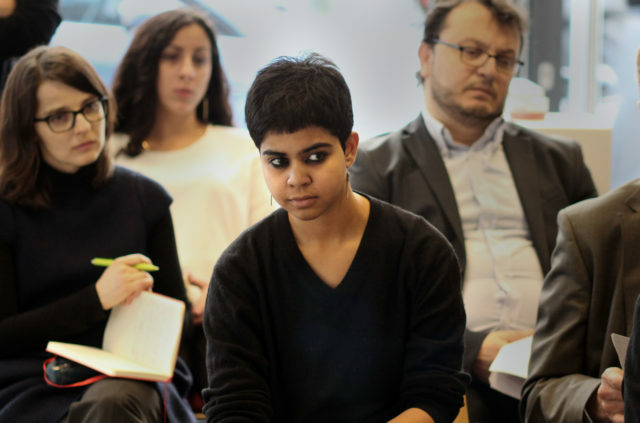 The discussion was inaugurated by a lecture of Professor Gayatri Chakravorty Spivak. Professor Gayatri Chakravorty Spivak, (born 24 February 1942 in Calcutta, India), is an Indian literary theorist, feminist critic, postcolonial theorist, and professor of comparative literature. She is a professor at Columbia University, where she is a founding member of the Institute for Comparative Literature and Society. 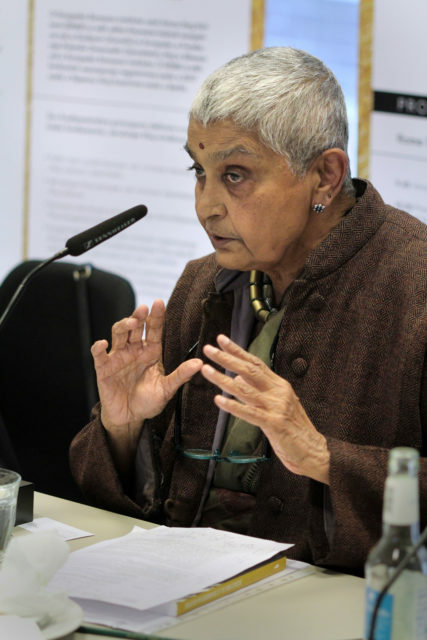 Considered one of the most influential postcolonial intellectuals, Prof. Spivak is best known for her seminal essay “Can the Subaltern Speak?” and has eleven 11 honorary doctorates form universities across the world. 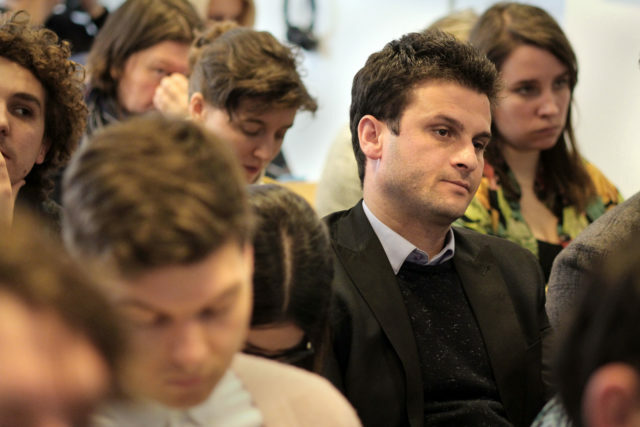 In her lecture, Professor Spivak spoked about the need for a “New Humanism” and linked the contemporary scholarly debates to the current situation of Roma. 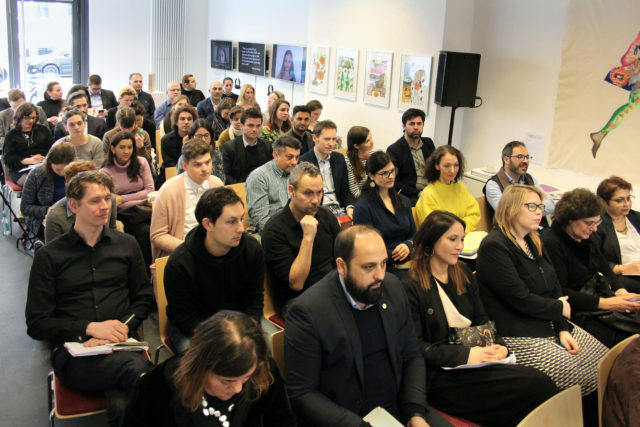 The event, which required previous registration due to limited space, gathered over 50 participants. 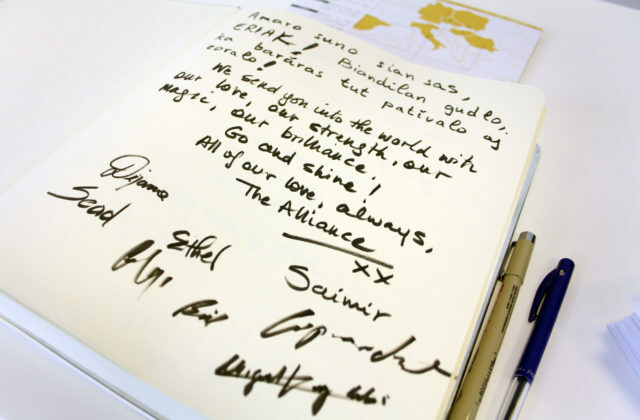 The lecture as well as the discussion were recorded as a way of preserving this historic event for future generations.